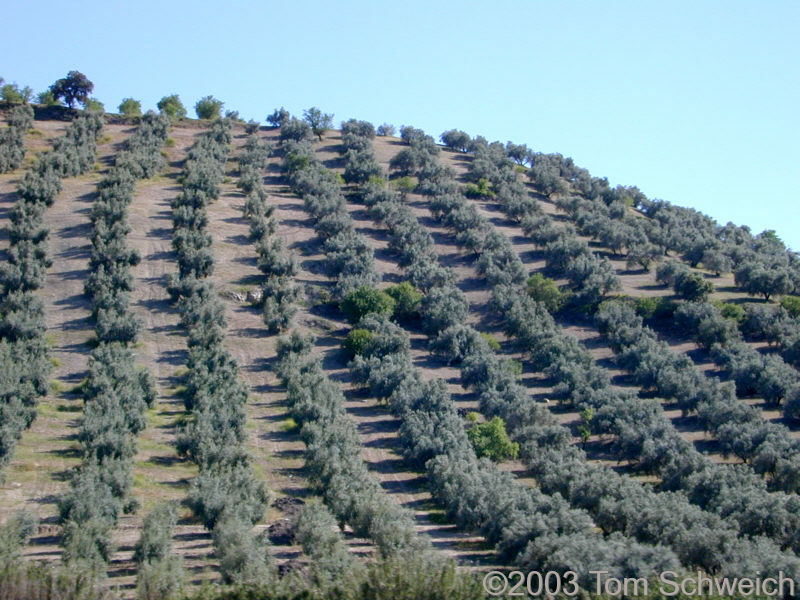 Photo: Olive trees on a hillside between Sevilla and Granada. Eastern Mojave Vegetation Olive trees on a hillside between Sevilla and Granada. I took this shot from the car on the highway. Most of the trees are Olives. I don't know what the other trees are that are interspersed among the Olives. Field Notes: April 21, 2003.